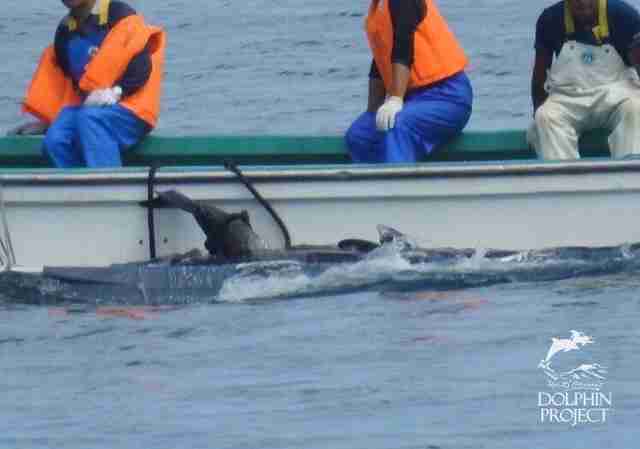 On Tuesday, fishermen in Taiji, Japan, rounded up a small family of four Risso’s dolphins and brutally killed them. These were the first dolphins to be killed in Taiji during the start of this year’s hunt, which will last until March of next year, and will aim to capture hundreds of dolphins. Trainers will handpick the “attractive” ones to be sold to dolphinariums and swim-with-the-dolphins programs around the world, but the remaining dolphins — usually the heavy majority — will be slaughtered for their meat. There were a few unusual things about Tuesday’s drive, according to Tim Burns, a volunteer for Ric O’Barry’s Dolphin Project, which monitors the hunts in Taiji. In most cases, the fishermen will catch the dolphins by banging on the walls of their boats, which creates a “wall” of sound that the dolphins can’t swim past. Then the hunters will drive the dolphins into the notorious Taiji killing cove and butcher them in the water, often right in front of their family members. 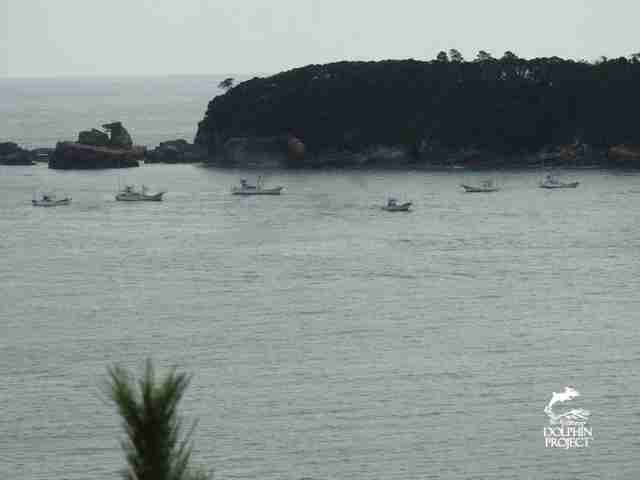 But during this recent drive, the fishermen had an unusually hard time catching the four dolphins and pushing them into the cove. It’s not entirely clear what motivated these different methods, Burns explained. 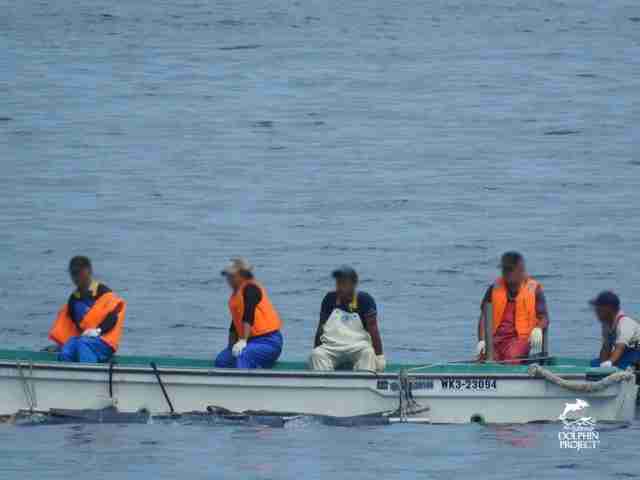 However, the result of the hunt was still the same, and it was still incredibly hard for the volunteers from Ric O’Barry’s Dolphin Project to watch what happened. 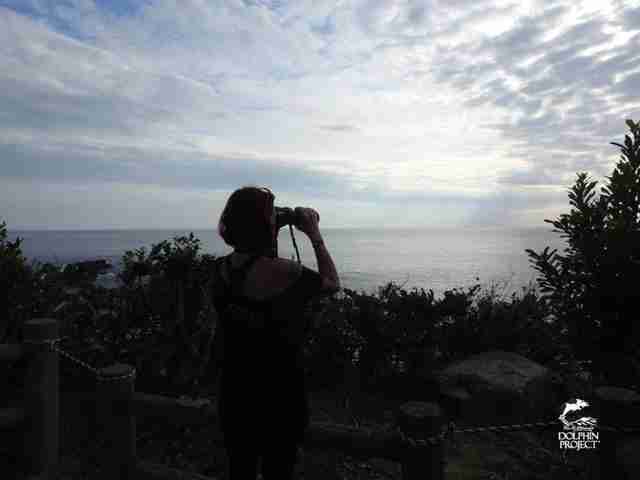 The volunteers will remain in Taiji throughout the season to document the slaughter. Not only are they hoping to inform the wider world about what happens in Taiji, but they’re trying to disseminate information through local Japanese media. Besides the cruelty aspect of killing dolphins, the volunteers are trying to educate the public about the dangers of eating dolphin meat, which is very high in mercury and can lead to serious health problems if regularly consumed. “I don’t think anything is going to happen to make Japan create laws to ban the slaughter of cetaceans, but I think the demand for the meat is going to go away,” Burns said. Burns is also encouraged by the fact that an increasing number of Japanese people are speaking out about captivity issues — and they voiced their unhappiness when a new aquarium went to open in the city of Kyoto. “There was a huge outcry in Kyoto when they tried to open the Kyoto Aquarium, and it’s just going to continue,” Burns said. 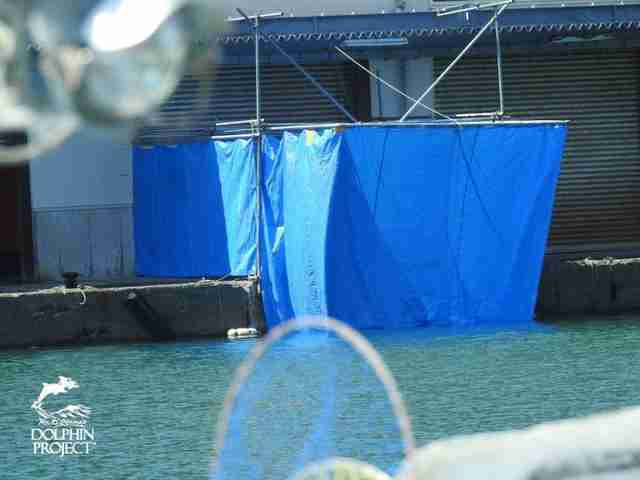 But sadly, change still needs to come to Taiji. After killing the four Risso’s dolphins, the fishermen have continued to take their boats out to search for more dolphins — and many more dolphins are expected to lose their lives over the next six months. While the cove monitors can’t legally do anything to stop them, they will be ready with their cameras, so the world knows exactly what’s going on there. 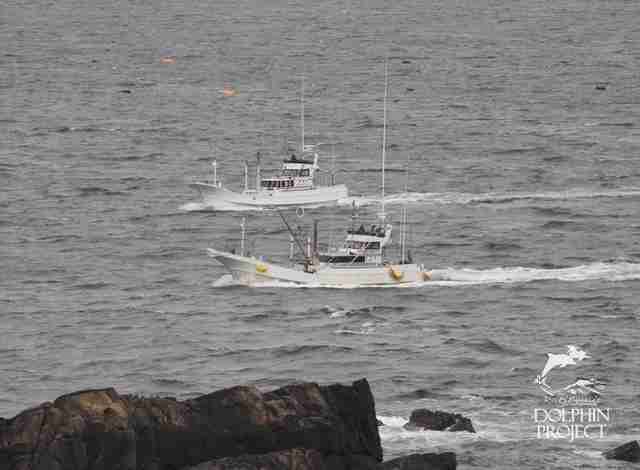 To help stop the hunts in Taiji, Japan, you can make a donation to Ric O’Barry’s Dolphin Project.